Imagine being chucked onto the surface of Mars without an astronaut’s suit like Matt Damon’s in The Martian. You’d be gasping and floundering like a fish out of water, and you wouldn’t last too long. That’s how fish feel when they’re put into tap water that hasn’t been pre-treated to strip it of harmful chlorine, chloramines and heavy metals. 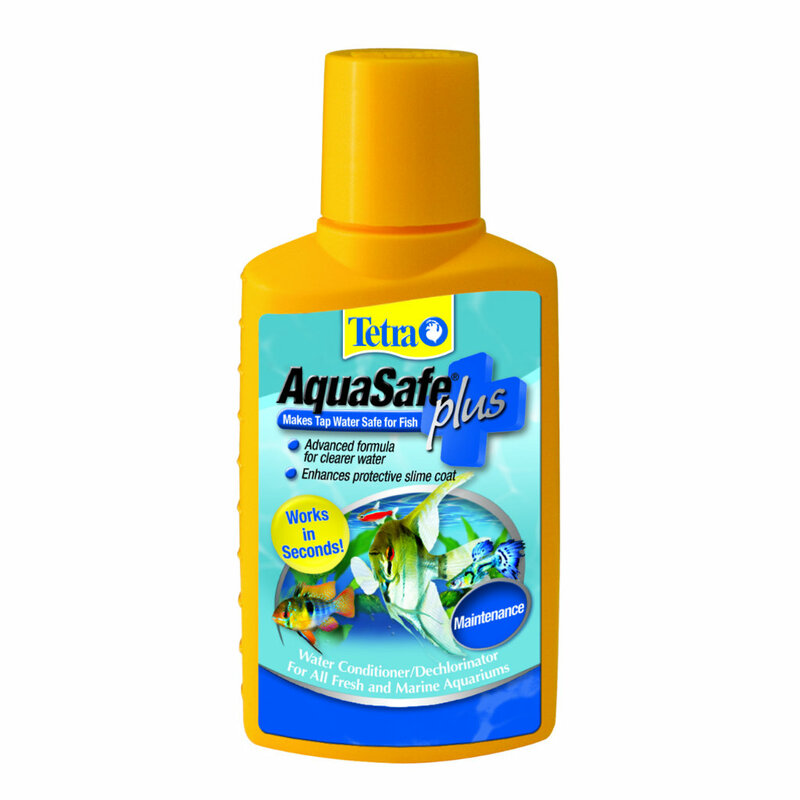 Tetra Aquasafe Water Plus works in seconds, transforming tap water into a safe environment for freshwater and marine fish. It creates a slime coating that helps to protect the delicate gills and membranes of your fish, and it helps to limit aquarium pollution by strengthening the bacterial bed. And with one teaspoon treating 10 gallons (nearly 40 litres), your Tetra Aquasafe Water Plus bottle will last longer than a Matt Damon movie - which is saying something.